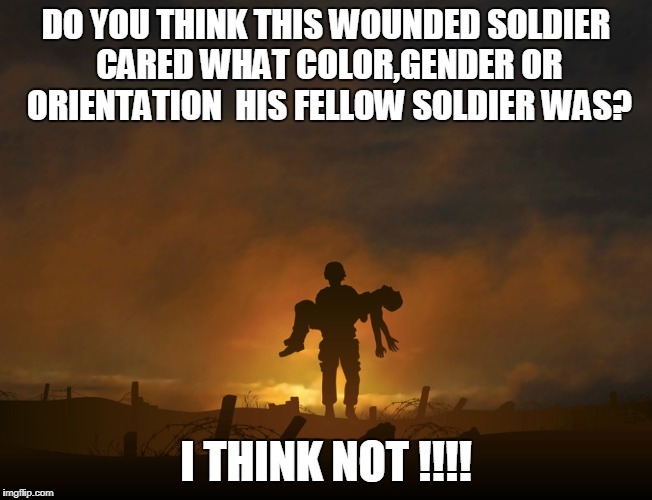 DO YOU THINK THIS WOUNDED SOLDIER CARED WHAT COLOR,GENDER OR ORIENTATION HIS FELLOW SOLDIER WAS? I THINK NOT !!! !